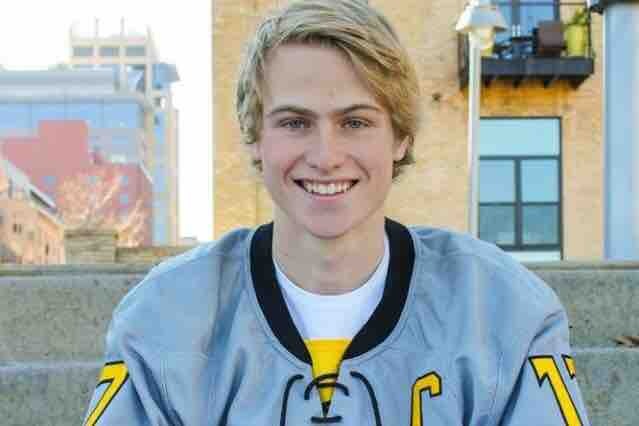 Former Burnsville Hockey Captain, Eric Otto's life was just beginning, and those lucky enough to know him, remember Eric as a kindhearted/selfless friend, ambitious player and a driven competitor on the ice. Eric graduated from Burnsville High in 2016 and was quickly drafted to the USHL Des Moines Buccaneers and then traded to the Chicago Steel. At the end of his second year in Juniors, Eric's work ethic and skill was recognized by one of the best D1 hockey programs in the NCAA and was signed by American International College. But before his freshman year had even begun, Eric became very sick. At practice he found it difficult to breath, he was getting fevers, and was losing weight fast. Coaches knew something was very wrong... this was not the same kid they scouted. After an extensive medical evaluation, Eric was diagnosed with Stage IV Hodgkins Lymphoma. Over the next 6 months, he will be undergoing 12 rounds of ABVD chemotherapy. Eric is in the fight for his life and needs all the prayers and support he can get! Donations would help greatly with medical, travel, and nutrition/meal expenses. 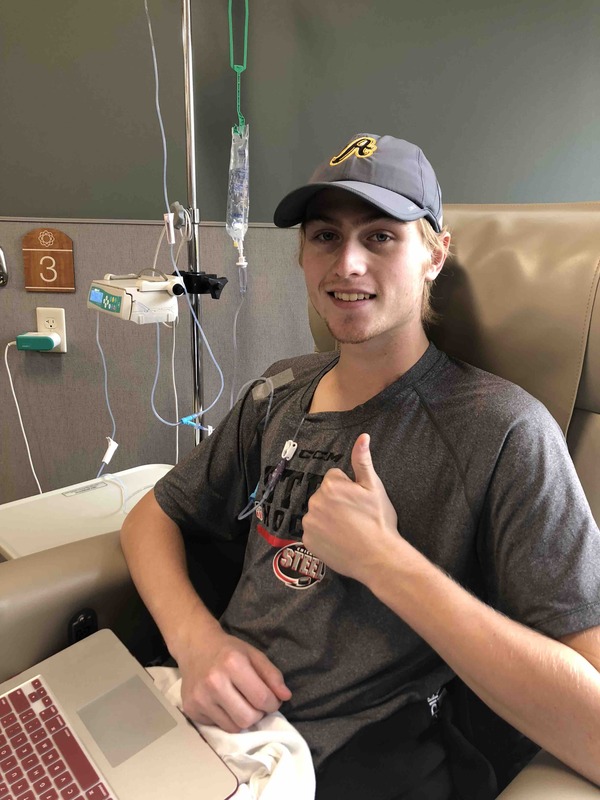 Donate to help the Otto family and Eric with his fight against cancer. Just a quick little update, Eric has officially finished his 12th and final round of chemotherapy as of yesterday!! He has a pet scan scheduled next week to make sure the cancer is completely gone, but the doctors are expecting a complete remission. Eric is VERY happy to be finished with this chapter of his life, and is excited to get back to what he loves - hockey! 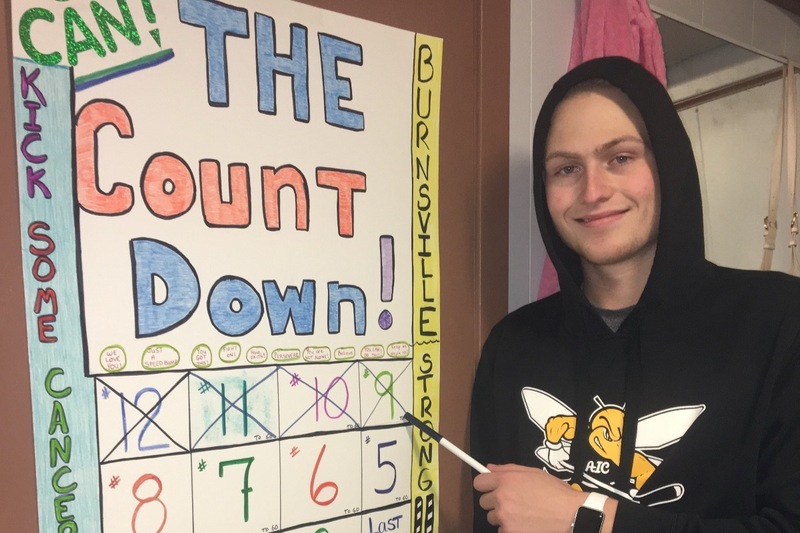 Eric is halfway done with chemotherapy! He had another full-body pet scan after his 4th treatment; the oncologist said Eric is responding VERY well to the chemotherapy. His scan showed an almost complete response. Now, the chemotherapy is focused on killing the small amounts of cancer left and trying to prevent it from ever coming back. Eric still gets pretty sick on the mornings following treatment. He gets up most mornings at around 5am to throw up, but he has managed to maintain his healthy weight restoration. Regardless of the side effects, Eric has not let them stop him from doing his favorite things. He has been hanging out with friends, going to holiday parties, and even outdoor iceskating with his brothers. Next weekend, Eric is flying to MA to visit his hockey team at American International College. Thoughts and prayers for safe travels would be appreciated! Eric had his 4th round of chemotherapy this morning! 8 more to go! Lately he has been pretty nauseous and very tired. He gets the worst of it a couple of days after each chemo. After his 3rd treatment, he slept for 36 hours straight. He is scheduled for another PET Scan next week to evaluate the results of the first four chemo treatments. Eric remains in good spirits. He has been taking it easy and playing lots of video games! As the bills start to roll in, we are so so thankful for the generous donations. You ALL have taken so much financial pressure off of Eric and his family. Eric had his second round of chemotherapy today!! He has been feeling great since his first treatment. The night sweats and fevers have subsided immensely. He is in good spirits, feeling optimistic, and ready to get back on the ice! !